Beverage company CMO said 'it's not enough to talk about change'. 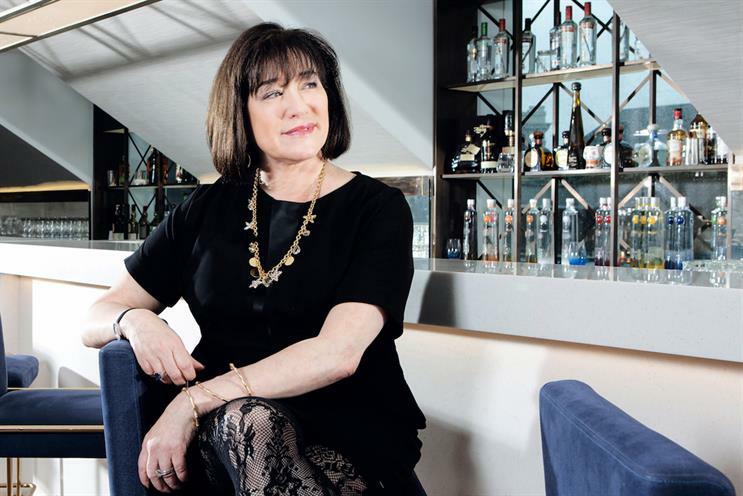 Syl Saller, chief marketing office at Diageo, has urged agencies to address the fact that just 12% of creative directors are women. "Its not enough to talk about our ambitions for change, we need concerted action to turn the dial. This year’s International Women’s Day theme ‘Balance for better’ must be championed in the creative industries. Balanced creative teams produce better work, balanced leadership makes better decisions and gender-balanced workplaces benefit others." Saller’s comments accompany the news that Diageo has signed up to be the exclusive sponsor of the briefs for Creative Equals' returners scheme #CreativeComeback. The programme, backed by the Government Equalities Office, will see 50 women returning to work in the creative industries undertake a two-week programme of training. Following the programme, returners will go on a placement or a flexible job with the agencies that have signed up to back the scheme. They will be supported by a dedicated coach throughout. Diageo has been a leading voice in the push for greater diversity and, in December last year, Saller personally wrote to every one of the ad agencies on its roster to ask to see statistics on gender diversity and pay gaps. Grainne Wafer, Baileys global brand director, who has been a vocal advocate of the need for greater diversity across the creative industries, said: "There is a wealth of top female talent and experience leaving the creative industries that we cannot afford to lose. The returners will be working on challenging and exciting briefs for some of our biggest brands and I can’t wait to see what they come up with." Ali Hanan, founder of Creative Equals, added: "#CreativeComeback is how we create real, tangible action to change the ratio of women in creative. We have had more than 195 applicants for our programme – an overwhelming response. With training from D&AD, Facebook and many top coaches, we know this programme will help put bridges back to work for those who have left due to children, cancer, caring responsibilities or other reasons. We are thrilled to have Diageo behind #CreativeComeback – its continued investment and commitment to fast-track diversity and inclusion is making profound change."